For those who believe that Linux is an entire system, let's clear it out that it is just a part of it. Linux is one such program that provides essential resources to other programs. Hence, the system that is brought into the usage is an amalgamation of both Linux and GNU system. It takes a lot of things to create a full operating system like text editors, compilers, X windows systems, and more. According to the reports, GNU was trying to build an independent operating system since 1984. And then, by early 90's, it successfully created one as well, which was devoid of Kernel. This project by GNU had its own Kernel, known as GNU Hurd, however, it was not completed. And then, somewhere in 1992, Linux Kernel came into the limelight and fulfilled the needs. Hence, Linux is not the entire operating system but it is just a Kernel. On the contrary, GNU Linux is the operating system that is available in different varieties. The Linux project is not the hard work of a bunch of programmers but a lot of them. After 1996, this project started growing at a fast pace. Initially, Torvalds had released only 10,000 code lines and today, the number has reached to millions. Approximately, it is said that 10000 and more developers from across the world have contributed their bits to its development. And, surprisingly, the number is not halting there. With each passing day, more developers are associating with this project, adding more features to it and making it more amazing. It is also noteworthy that only 2% of the Kernel carries Torvalds codes and most of the parts of Linux Kernel are written in Assembly and C Languages. In 1991, the very first version 0.01 had 10239 lines of code during its release and consumed only 65 KB. Today, a normal Linux Kernel carries more than 10 million lines of code and this number is growing every year by 10%. The Linux 4.12, which was launched in July 2017, had 24,170,860 lines of code. Every single day, developers add 4500 lines and change 1500 lines. In 2016, corporative programmers had developed almost 75% of Linux code. In the current version, Google has its 1.1% contribution. Microsoft, one of the major players in the domain of software development, has its significant contribution to the development of Linux as well. Once, Microsoft's lines of code were more than Canonical. However, Microsoft does not contribute to enhancing the Kernel, on the contrary, its contribution is more for the support of Hyper-V hypervisor on Linux. The main intention of Microsoft behind virtualizing their operating system under Linux is to make it work better and more efficiently. After all, that is the reason why Linux is a GLP. It allows others to contribute and fix their problems simultaneously. Hence, it is quite obvious for Microsoft to utilize Linux, considering the developer-friendly behavior that Microsoft is posing for years. If you go by the research, almost 498 speediest computers out of 500 work on Linux. Although Linux has been giving a tough competition to everyone, however, in the present situation, it is knocking down every other competitor coming its way. Since supercomputers are growing at a faster pace, other systems like IBM AIX and more are not going to withstand the competition for a longer period of time. As far as the high-performance computing is concerned, Linux has managed to become a number of choice among users. In 1998, the adoption number of Linux was only 1-2% and today, it is more than 90%. There are several reasons that contributed in making Linux famous like management ease, community resources, security, compatibility and more. In the present era, you can easily find more than 10 Linux-based mobile operating systems. Generally, people perceive that Android is the only operating system which is currently running on Linux. However, apart from that, there are 10 more operating systems that are using Linux. The list includes names like Firefox OS, OpenZaurus, Ubuntu Touch, Sailfish OS, Mobline and more. In Smartphones, Linux holds a significant following. Linux Kernel is used to build several top operating systems, including Google's Android, Nokia's Maemo and Palm's WebOS. Regardless of Samsung dominating the Smartphone market with its Galaxy series, the first every Smartphone launched was by HTC. And, primarily, Google's Android is running on Linux Kernel. However, Google had modified Android several times to make it go beyond its original basis. For its internal employees, Google provides its own distribution of Linux, which is known as Goobuntu. Based on standard versions of Ubuntu, Goobuntu is only used by the employees of Google and it is not available to the public yet. Since using Linux is not a big deal for developers, hence after few modifications and tweaks, Goobuntu was perfectly ready for Google employees that carries specific security policies. However, back in time, there were several rumors regarding Google distributing Goobuntu to the general public. Debunking these rumors, the founder of the Ubuntu project showed no such inclination through Google's end. There was another variant of Ubuntu, known as Gobuntu. This version was in no way associated with Google. It included altered and free content, however, it does not support the operations anymore. The initial releases of Linux Kernel carried some restrictions for commercial use and were strictly not for the general public. The kernel is only used for running programs as it is entirely useless without it. Even Torvalds had to run several GNU software to understand the initial release of Linux. Some of the tools it included were text editors, shell, compilers, and more. The initial release also had a bash shell. However, in 1992, Torvalds released the kernel under General Public License and the first version was 0.99. Yggdrasil was the first commercial distributor of GNU Linux. Back in 1992, it was launched in the format of a CD. In 1999, Red Hat was one of the first companies to settle with it. 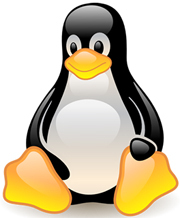 Recommended by Torvalds to provide a pet penguin to Linux, Tux was never meant to be a Linux logo but a mascot. Tux stands for Tuxedo. There was a logo competition held for Linux and during this competition, Tux was submitted, however, it never won. Larry Ewing, a programmer, designed with an image by using the very first version of Linux photo editing tool, GIMP. Although, initially, several developers suggested many creatures like foxes, sharks, hawks, eagles and more, however, penguin stuck in Torvalds's mind, hence the result. Instead of a strong and bulgy penguin, Torvalds wanted cute and cuddly one. Talking about the application area of Linux, the list is quite huge. It includes U.S. Navy Submarine Fleet, U.S. Department of Defense, Tamil Nadu for Education Purpose, Federal Aviation Administration, Japan's bullet trains, the New York Stock Exchange, Traffic Control of San Francisco, CERN, Russia, air traffic control systems, Brazil, control of nuclear reactors of ships & submarines, Venezuela, Google, Facebook, Cisco, LinkedIn, Twitter, TiVo, Toyota, White House server hosting website, and much more operate on Linux OS. As far as the animation is concerned, Titanic's visual effects were designed by James Cameron on the machines that were running on Linux. And, in the movie Avatar, 3D applications were developed on the platform of Linux by using Foss Software. Amy Bros is the Technical Editor of sysprobs.com. Bros have a passion for helping people to solve all their problems related to technology from last 9 years. She worked as a freelance Network Engineer previously.